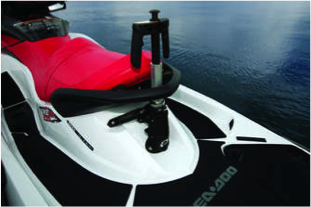 BRP’s 2013 Sea-Doo GTR 215 is a watercraft that is forgiving on the water and on the wallet. It is based on the playful yet predictable handling of the GTI platform while offering more power from its supercharged Rotax 4-TEC marine engine. The GTR 215 carries the Sea-Doo performance heritage with strong acceleration and handling prowess. It’s easily tunable with aftermarket accessories. 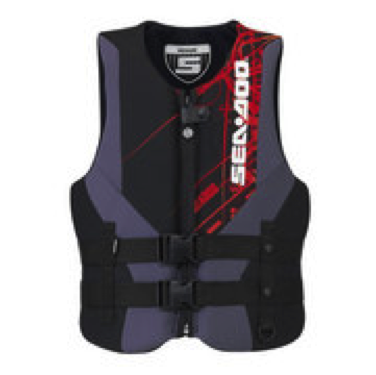 The GTR 215 is also fully equipped with the Sea-Doo iControl technologies including iTC and award-winning iBR system, allowing the rider to stop up to 100 feet sooner than any other watercraft*. The Sea-Doo GTR 215 features: integrated infocenter, high-performance VTS, 116 liters (30.5 US gallons) of storage and grip and groove seat. *Based on BRP internal testing. Traveling at 50 mph (80.47km/h). 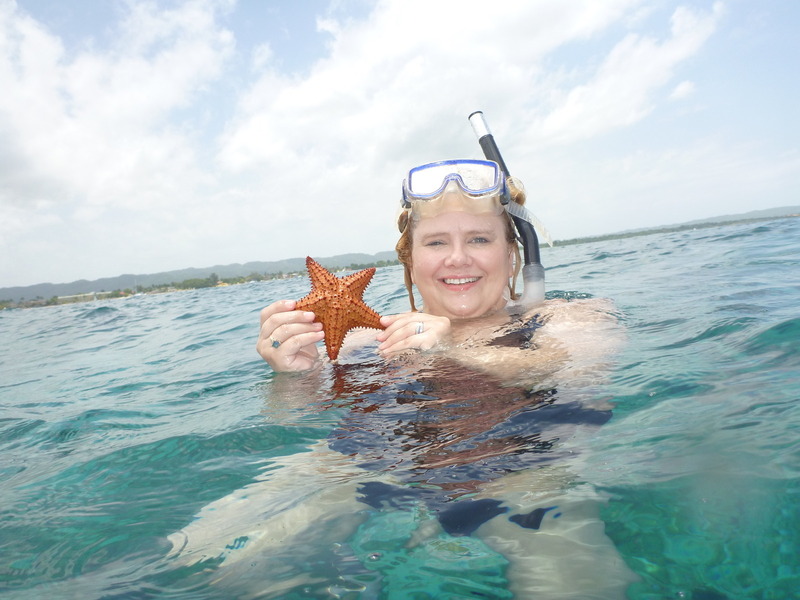 Congratulations to our Sea-Doo Image of the Week winner Stephanie Holcomb. Stephanie submitted her photo in our Picture of the Week contest of her on her Sea-Doo in Alaska. Stephanie entered the Sea-Doo “I Brake For…” Sweepstakes and her image was chosen as one of our featured images of the week. Her image received the most votes in the weekly contest. 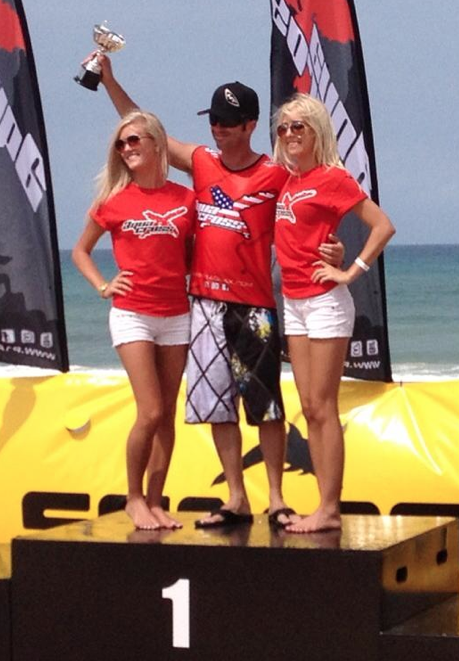 She won a Sea-Doo Front Storage Tray which should fit nicely into the front storage compartment of her Sea-Doo. 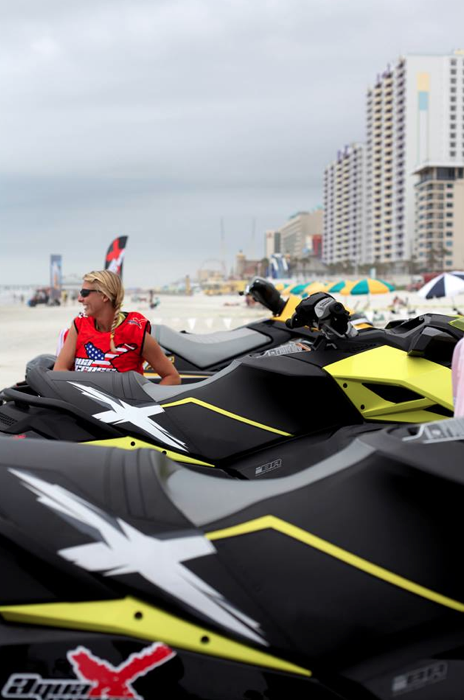 The 2013 RXP-X 260 has ominous visual appeal, ingenious hull design and reinvented ergonomics that allows riders to realize 100% of their riding potential. The T3 hull design allows the RXP-X 260 to aggressively lean into corners and penetrate chop better than any of its two-seater counterparts. T3 stands for “tight-turning t-hull” and uses an advanced, dual surface hull design with a unique combination of soft and hard chines, dual axis adjustable rear sponsons and performance trim tabs. 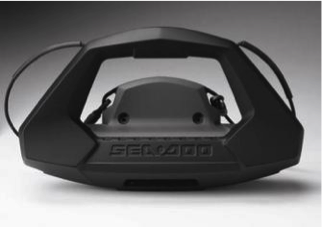 This allows the rider to turn tighter and faster, leaving the competition green with envy. The revolutionary Ergolock system integrates a narrowing, body-molded racing seat, Adjustable Ergonomic Steering (A.E.S.) system and angled footwell wedges, all complementing the aggressive, lean-in characteristics. With the A.E.S. 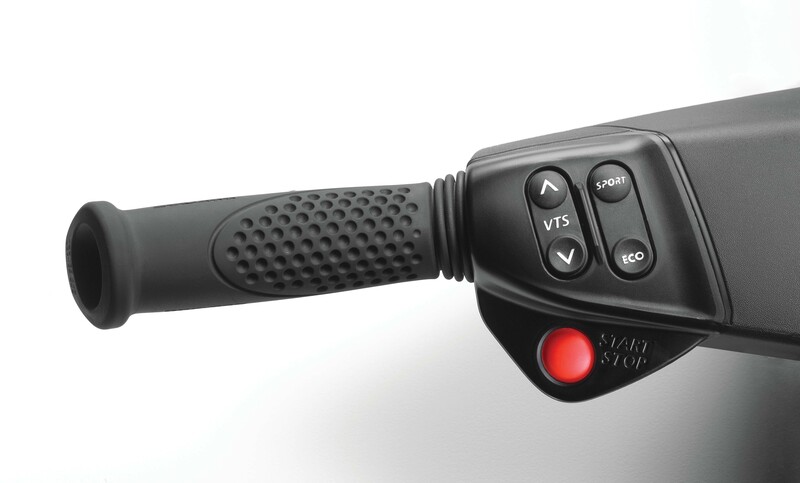 system, the rider can adjust the handlebar width and grip angle for a perfect upper body connection. 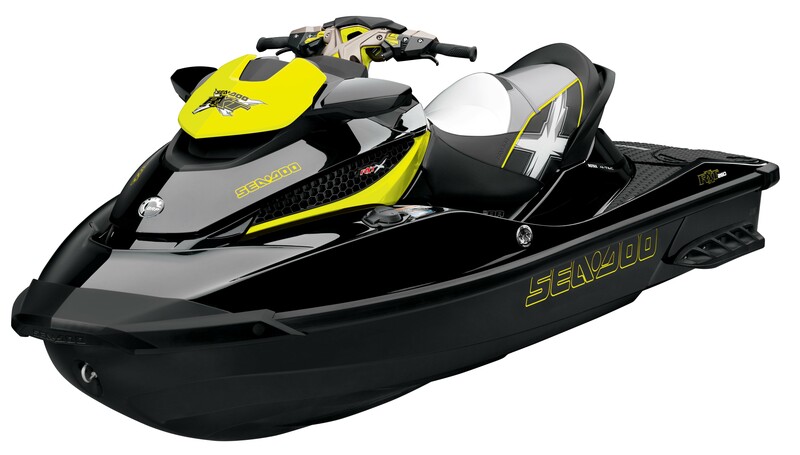 The unique RXP-X 260 seat form-fits the rider’s lower body, alleviating upper body strain in hard turns, connecting the rider to the machine, and ultimately the water, better than any other two-seater. Following the dominating World Championship-winning performance of Sea-Doo X-TEAM rider, James Bushell, aboard the T3 hull, the racing community has turned to the RXP-X 260 as the new standard on race-circuits worldwide. With over a year of aftermarket performance parts development, the RXP-X 260 can be customized to fit any enthusiasts’ desires. 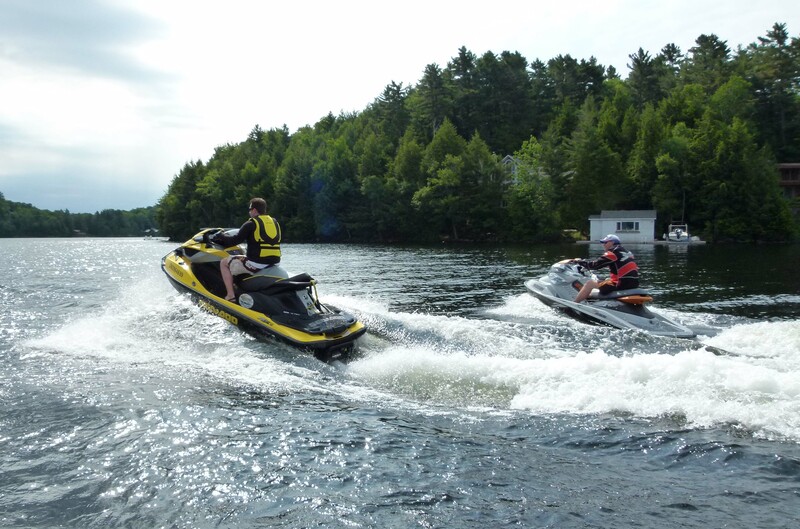 BRP’s Intelligent Brake and Reverse (iBR) and Intelligent Throttle Control (iTC) systems make the 2013 RXP-X 260 the most feature and technology rich two-seater in high-performance watercraft history. Congratulations to Doug Turley, Winner of this week’s Picture of the Week Contest! 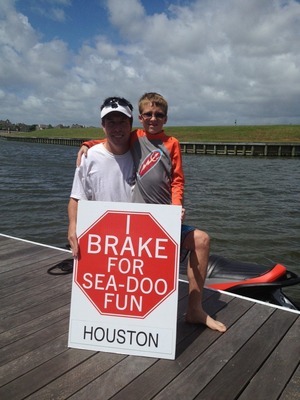 Doug entered the Sea-Doo “I Brake For…” Sweepstakes and his image was chosen as one of our featured images of the week. His image received the most votes in the weekly contest, he received more than 2000 votes to win this contest! 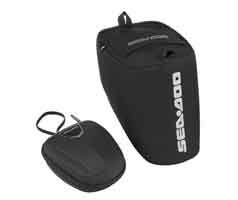 He won a Sea-Doo Dry Bag that will hold all of his dry, or wet, clothes when traveling to and from the water. Congratulations Doug (and Chase!)! 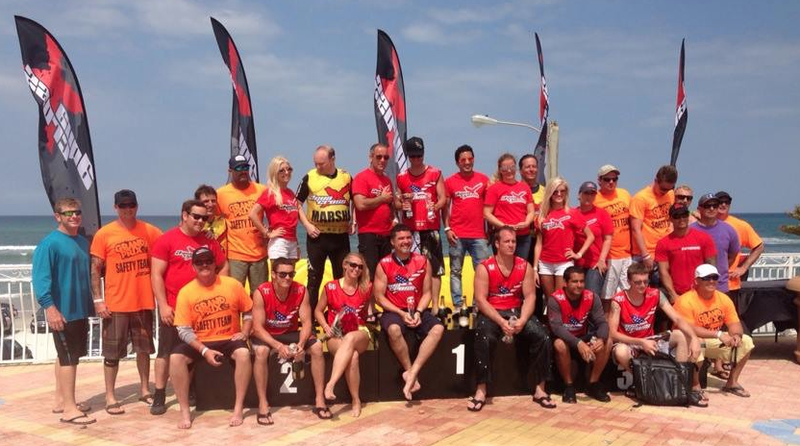 Thanks for sharing your Sea-Doo lifestyle with us!